Since the Great Stashening I've had a bee in my bonnet about using up all my odds and ends. I want to knit them all! Now! 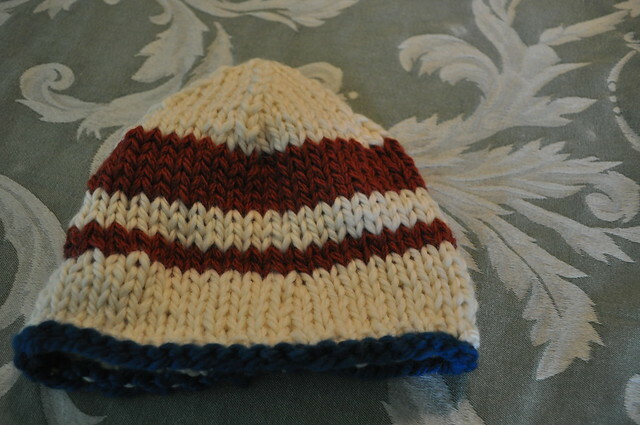 I began with a helix hat (same basic recipe as always). 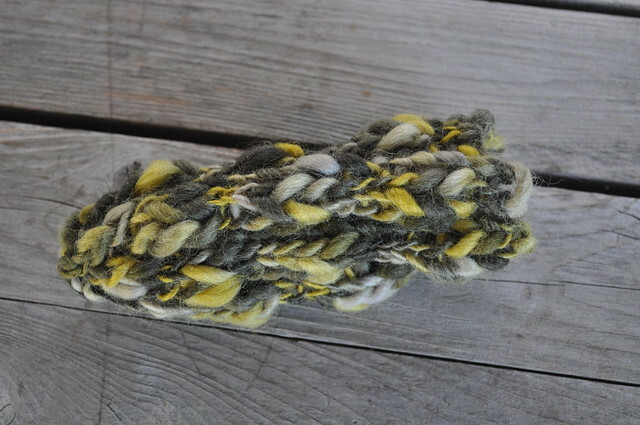 This one is Noro Cash Laine, Lamb's Pride Worsted, Classic Elite Kumara, Rowan Kid Classic, Julia and who knows what else. 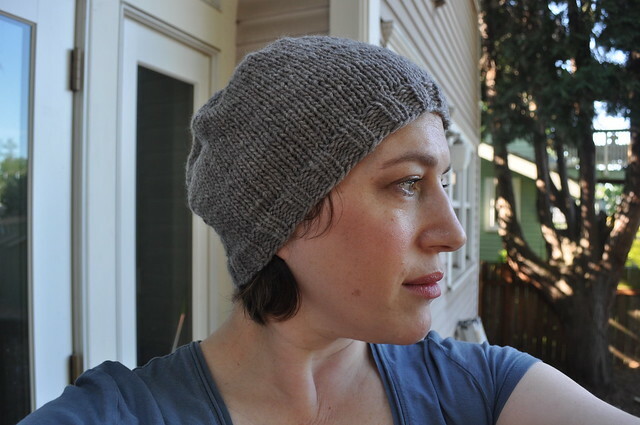 Then I cast on and knit the ribbing on a plain hat in Naturally Harmony 10 Ply that I have had in my stash and planned to knit into a hat since I got the yarn as a freebie at Madrona in 2006. I took it to see Batman last night and finished it this afternoon. 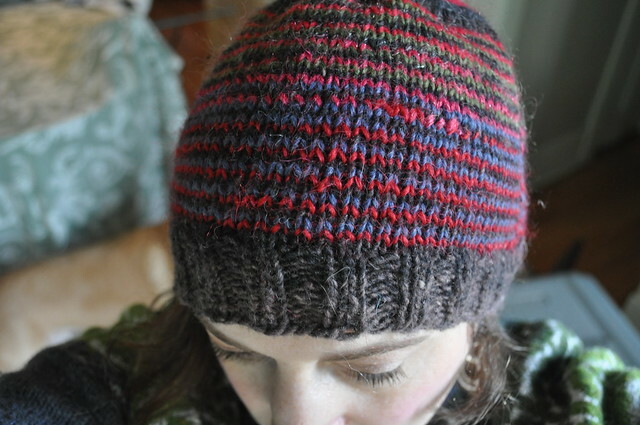 Oh, I also made a really ugly hodgepodge hat yesterday with some leftover bulky scraps. 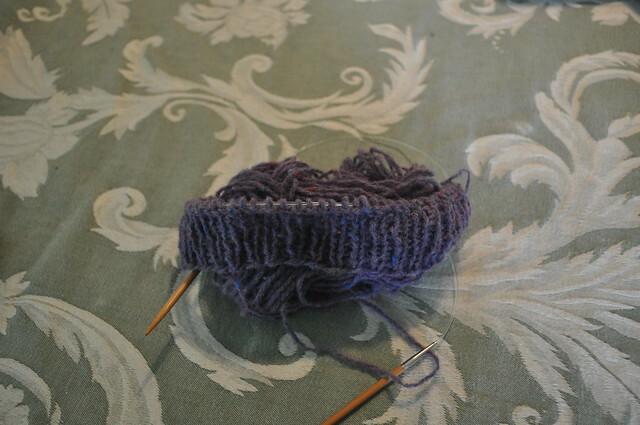 Then I started an Aviatrix which I haven't completed yet with some Rowanspun DK. 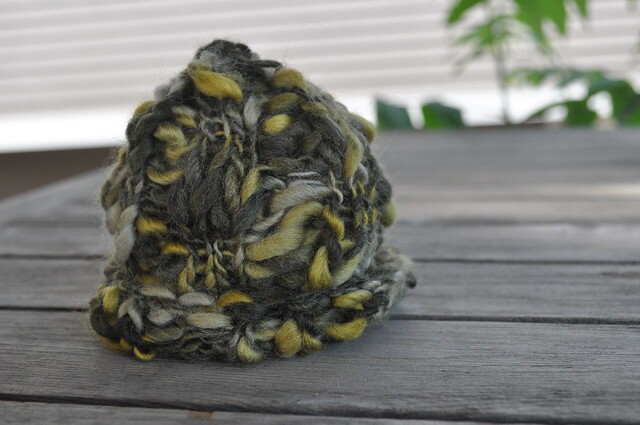 Then in about 20 minutes or so this afternoon I knit a hat with some Dale Ara that has been lying around since 2004. 2004! I bought it make a fricking poncho for Pete's sake! The poncho never happened and I've used it bit by bit over the last eight years. Nope, that's not a pickle. It's a hat. Honest. This is almost the last of it. There was a tiny nub left and I'm using it to make another hat!